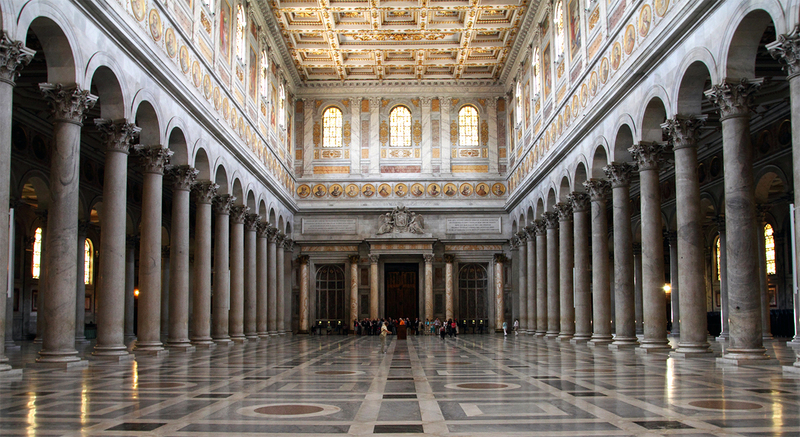 Accessible Basilica di San Paolo fuori le mura - ROME AND ITALY | TOURIST SERVICES IN ITALY! The Basilica di San Paolo fuori le mura is one of the four papal basilicas in Rome, and the second biggest after St. Peter’s. It was traditionally built on the same spot where the apostle Paul is said to have been buried; the first christians then proceded to build a small chapel which was eventually transformed into a basilica by the roman christian emperor Constanstine I and then sanctified by pope Sylvester I. 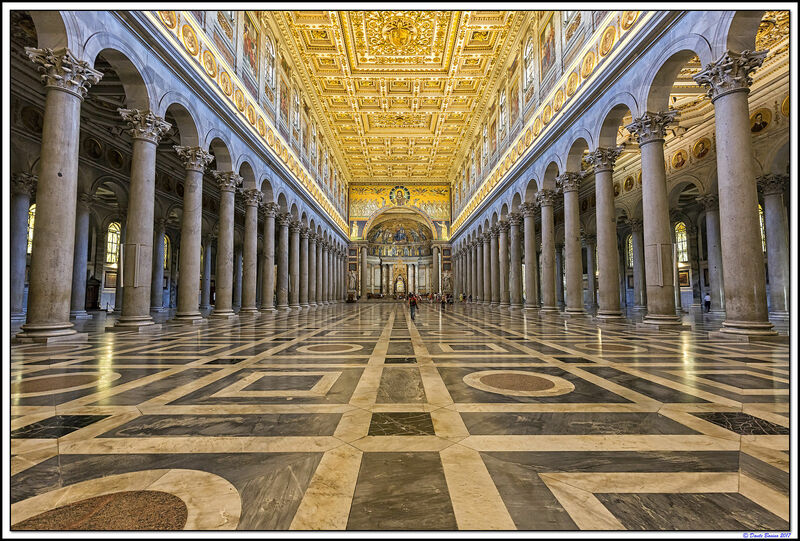 The renovation and transformation of the building began already in the year 385 and ended in 395 under the rule of emperor Onorius; later on it became one of the most famous stops for pilgrims who came to Rome. The current form of the basilica was realized by Pasquale Belli who, with the help of other architects, rebuilt it and renovated it again between 1825 and 1854. All sections of the Basilica are completely accessible to people with disabilities; it is even possible to reservate some wheelchairs by calling the number 06/698 80 800.